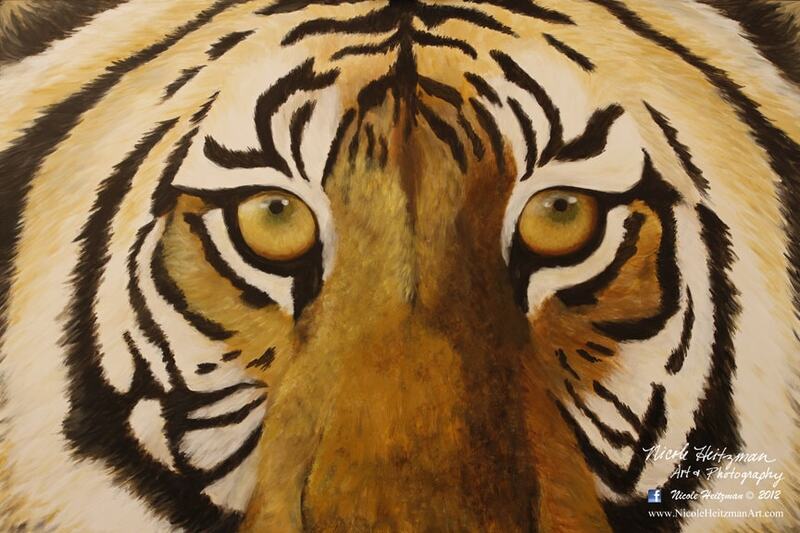 "Eagerly Awaiting" is an intriguing close up painting of the depth of a tigers eyes. This giant cat has always intrigued Nicole due to the amazing color of this large beautiful cat. 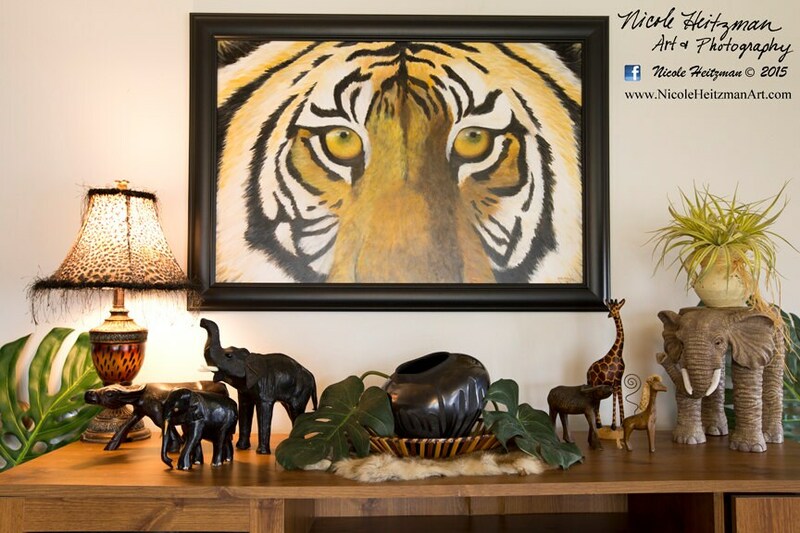 She enjoys watching many different animals, but the tiger is among her favorites.